why the center alignment in the combobox not shown !? As far as I test this alignment is only for the display value, after picking from the dropdown list. 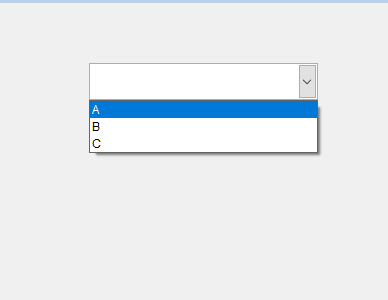 Even that works different depending on Style being Combo or Dropdown list. thank you very much Olaf. Well, nothing to thank for, unless the hint on setting Style to dropdown list already helps a bit towards your goal. 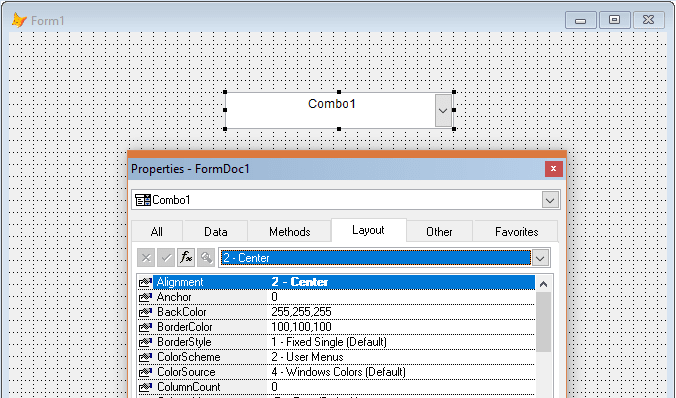 If you want the items to center during choice, the best way would be padding values with prefixed spaces or tabs. It's harder to get to an exact position with proportional fonts, you could use Courier New for that case, though in some cases you'd like to shift by half a character width.